Written in 1992, Anderson sings of the destruction of the environment he grew up in due to human interference. Anderson released “Seminole Wind” as the fourth single from his album of the same name. It shot up the charts, peaking at number two on the Billboard Hot Country Singles & Tracks chart. Many artists have covered this song over the years, including Ana Cristina Cash, who just so happens to be Johnny Cash and June Carter Cash’s daughter-in-law. 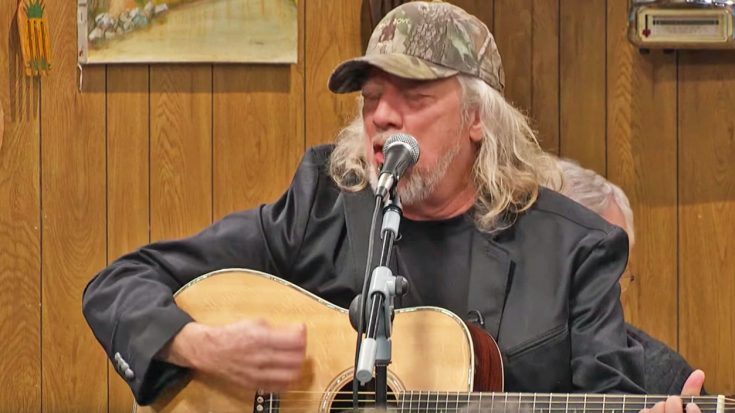 During a recent appearance on Larry’s Country Diner, Anderson made a special appearance to sing “Seminole Wind” with some help from his friends accompanying him on guitar and lap steel guitar. Join us for an all new episode of Larry's Country Diner featuring John Anderson. Tune in to RFD-TV for some good times! Surrounded by a diner full of guests, Anderson wowed them with his hit from over 25 years ago, which seems just as relevant today as it was back then. Watch him perform “Seminole Wind” in the video below. To see more incredible videos like this one, subscribe to Country Road TV’s YouTube page here.